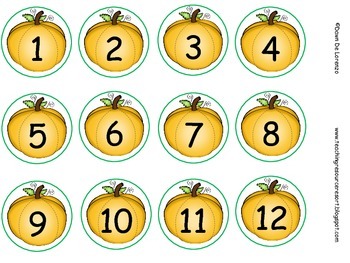 These are pumpkin themed muffin tin labels numbered 1-12. Muffin tins work great when paired with interesting manipulatives for counting, sorting, and fine motor fun! Pumpkin clip art is from Dots of Fun!